Our 2019 Cart of the Year. Brandon and Amelia Hughes know their food cart, Wild North, isn't the easiest sell. A cart with seasonal menus, unusual proteins and bold plating doesn't have much precedent in Portland. Add in the owners' nose-to-tail, "waste nothing" ethos, and the concept can be tough for the public to wrap their heads around, let alone their stomachs. 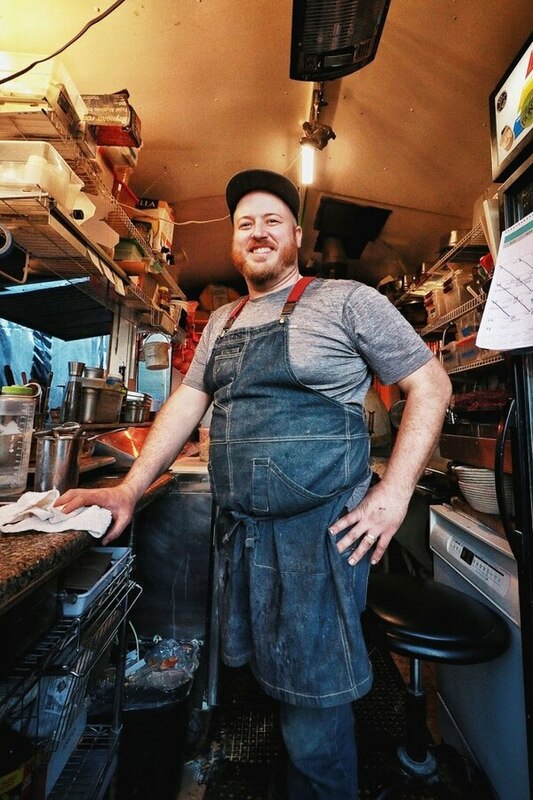 "It's shocking, and sometimes it even repulses people, because they think we're too fancy to be a food cart," says chef Brandon Hughes, 30. "I don't know if 'repulse' is the right word, but it throws them off. They would rather eat tacos or burritos or Thai food or whatever—the food they feel should come from a cart." 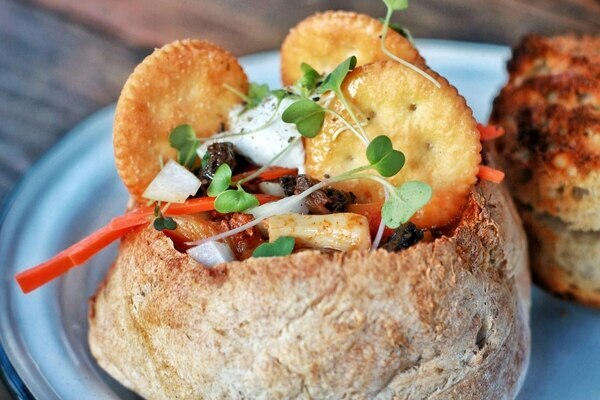 Related: Wild North Is the Fire-Roasted Food Cart of Your Dreams. Ambition isn't necessarily what people look for in a food cart—just a satisfying, inexpensive meal done quick. But in Portland, the line between cheap eating and fine dining has grown increasingly blurry in recent years. The most talked-about restaurant of 2018, Gabe Rucker's Canard, serves chefed-up White Castle sliders and pancakes slathered in duck gravy, while the second was a straight-up drive-thru from Little Big Burger progenitor Micah Camden. Meanwhile, as the city's established restaurateurs have strived to "reinvent" their culinary guilty pleasures, the Hugheses spent their first year in business quietly pushing the boundaries of what can be considered "cart food." Operating first out of the Cartlandia pod on Southeast 82nd, before migrating to the central eastside, to a spot outside Base Camp Brewing, in January, the dishes at Wild North are things you'd normally expect to dress up and make a reservation for—stuff like barbecue pork roulade, lamb tartare and their signature sourdough bread bowls, which they've used as a vessel for everything from cucumber gazpacho to rabbit bolognese. Indeed, it sounds fancy, and looks it, too. But while the presentation is upscale, the preparation is decidedly Old World. Nearly everything is fire-roasted, lending a rustic quality even the most blue-collar palates would find warmingly familiar. And though the food is on a different tier than what you'll find at most carts, the prices aren't much higher. "We want to make nice food more approachable," Hughes says. "You shouldn't have to spend $100 to eat this food." None of this, though, was necessarily the plan when the couple moved from Minnesota to Portland in 2017. All they knew was that they were sick of working for other people. 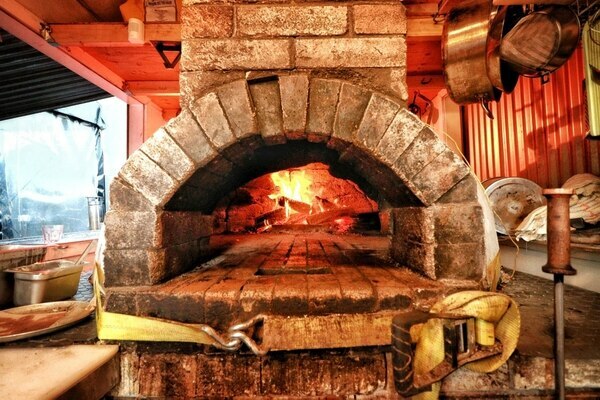 A cart made the most sense as a starting point, especially when one fell in their laps: Pyro Pizza owner John Eads offered to sell them his original structure, a 8-by-16-foot raw-lumber shack, which came with a built-in wood-fired oven. Hughes had no intent of making pizza, but cooking over an open flame appealed to his sensibilities—predilections his wife describes as "primal." "Brandon was born 100 years too late, for sure," Amelia says. 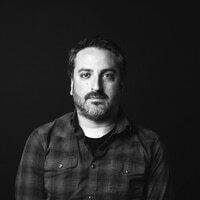 Growing up in Missouri, in a family that didn't have a ton of money, Brandon spent a lot of his youth scavenging in the kitchen, mixing and matching whatever was available. As he got older, that self-sufficiency manifested in a love for hunting and fishing, and for preparing food the old-fashioned way—he'd often go camping just to have an excuse to cook outdoors. He went to college for construction management, but had trouble finding work, so he enrolled in culinary school in Minneapolis. He and Amelia met through the Twin Cities food scene, she as a server, he as a chef at lauded restaurants Tilia and Travail Kitchen and Amusements. When they decided to go into business for themselves, they headed to Portland, where Amelia grew up, and near her family's farm in Wilsonville. 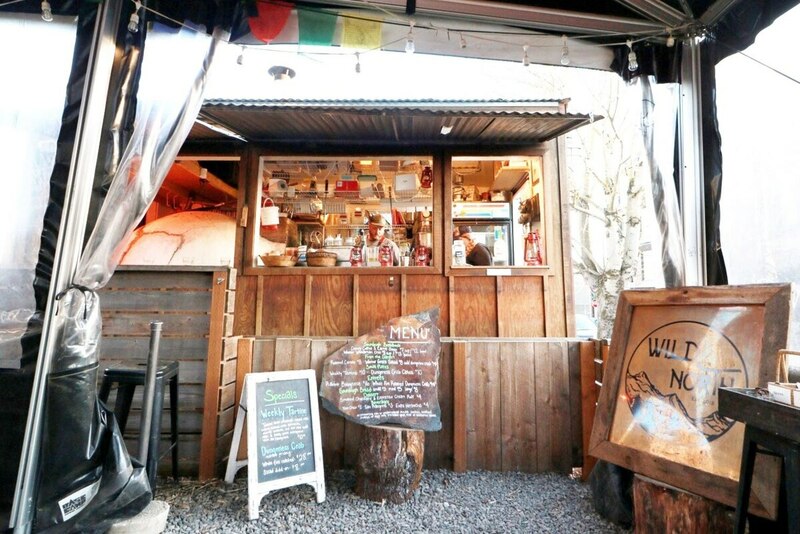 Wild North opened last March, in the Cartlandia pod just off the Springwater Corridor bike trail, with a menu that included lamb merguez, stuffed rainbow trout and lamb-shank split-pea soup. The proteins change with the season—in winter, it was rabbit and Dungeness crab, and they're in the midst of switching back to lamb for the spring. No matter the animal, Brandon Hughes is dedicated to utilizing every part of it, whether it's rendering the fat or coming up with specials using internal organs. Last spring, they braised a whole lamb's head and incorporated it into chili. An upcoming item includes roasted bone marrow with foraged mushrooms. "I don't want to waste anything, and I think that is rare in most restaurants," he says. "People are about showcasing the fancy ingredients or whatever, whereas I like to showcase things people would throw away." Of course, most diners don't go to a cart pod expecting to find bone marrow or lamb's head chili. But the Hugheses say they've been impressed by the adventurousness of Portland eaters. Still, when their lease at Cartlandia came up, they opted not to renew. Moving to the Base Camp property not only brought the business closer to the heart of the city, it placed the cart in a more appropriate context. 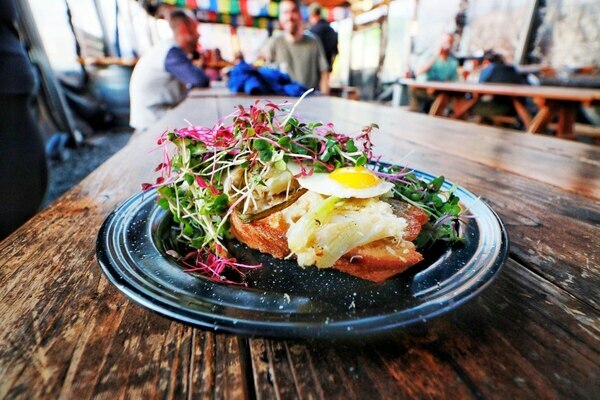 This is, after all, essentially gourmet camping food, and situated right outside the brewpub, underneath a canopy with dirt floors, picnic tables and a fire pit, the idea of Wild North makes a lot more sense. While the Hugheses have goals of expanding, their ultimate dream isn't necessarily to go brick-and-mortar. In the Midwest, farms have taken to throwing public picnics, making pizzas from ingredients sourced entirely onsite. The Hugheses would like eventually to do something similar, at Amelia's family farm. Scaling up isn't out of the question, but for now, the size of the operation matters less than how it's supported. "Right now, the main focus is having a farm that supplies the restaurant, whether that's a food cart or something bigger," Brandon says. "I don't know what the plan is—the plan wasn't to start as a food cart, it just happened that way." EAT: Wild North, 930 SE Oak St., 971-808-1202, wildnorthpdx.com, Noon-9 pm Monday and Wednesday-Thursday, 11 am-10 pm Friday-Saturday, noon-7 pm Sunday.